Thanks to a ton of chemistry lessons (thank you Khan Academy), I have demystified the essence of making soap. Saponification, the process of soap making, is simply a chemical reaction between a base and an acid, which results in a salt (soap), glycerol (sugar alcohol which is present in the oils) and water. In chemistry salts are ionic compounds that result from the neutralization reaction of an acid and a base, which is what soap making is. 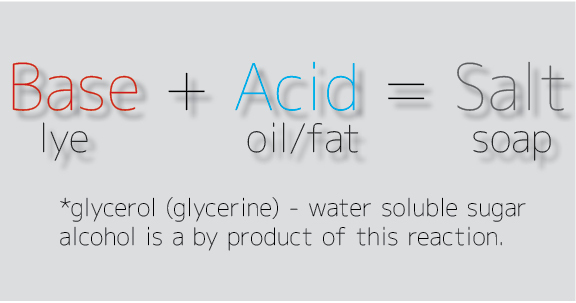 A strong base (sodium/potassium hydroxide) is needed to saponify the fatty acids that make up most oils and fats. Sodium hydroxide is the lye I will be using. This is a super reactive and caustic compound – judging from where Sodium is on the periodic table and understanding Hydroxyl (–OH) is a super negatively charged compound that’s looking for a hydrogen proton in order to form water (H20). So it’s easy to see why NaOH is a very reactive chemical. We have discussed hydroxyl in detail when it comes to our hair. See video here. Sodium hydroxide-NaOH is the same chemical used in lye relaxers to shatter the chemical bonds (responsible for the curly texture), which results in extended length. We’ll get into details of this later but our hair is acidic, which is why we need to react it with a base in order to create permanent chemical change. No-lye relaxers utilize Calcium Hydroxide Ca(OH)2. Make no mistake – while calcium hydroxide-Ca(OH)2 is not as caustic as sodium hydroxide, it holds it’s own as a reactive potent base (look at where calcium is on the periodic table). 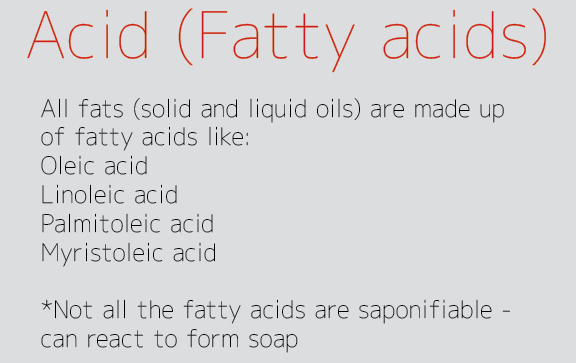 While any oil/fat can be used to make soap, not all fatty acids contained in the oil/fat are saponifiable (react with the lye). That basically means some oil/fat remains unaltered (inside the soap) even after the soap has been formed. Coconut and avocado oils are two examples that contain some fatty acids that do not react with the lye.That means a soap featuring these oils will have extra oil, which makes the resulting soap more moisturizing and conditioning. So what’s the DIFFERENCE between the LYE and NO-LYE relaxers? Lye – NaOH – Sodium hydroxide is very caustic when in contact with the scalp (or any body part for that matter) but more gentle on the actual hair strands. 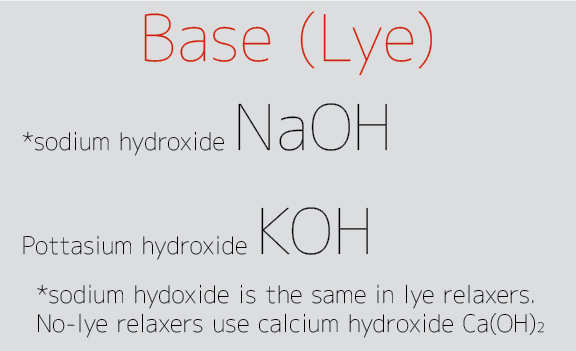 No-lye basically means absence of lye; sodium hydroxide in this case. Calcium Hydroxide Ca(OH)2 is obtained when calcium oxide is mixed with water. No-Lye – Ca(OH)2 is not as caustic (make no mistake, it will still burn through flesh, only takes a bit longer compared to the lye version) but it will deposit a lot of metallic residue on the strands when the chemical reaction occurs. 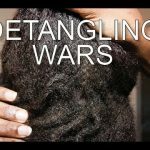 A chelating shampoo (breaks metallic bonds) is the only remedy to remove the metallic residue after a no-lye relaxer. In the next couple of weeks I will be making a moisturizing soap batch for my hair (and body, I try to make everything multi-purpose) I will be using the herbal infused oil and some coconut and Shea butter. And instead of just water to mix the lye, I will use a tea from the dry hair blend in order to make the soap extra moisturizing. I am working out proportion details using soapcalc.net. 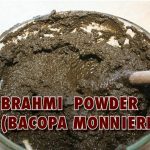 This is a handy website that takes away the pain of calculating exact amounts of oils. And it comes already superfatted at 5%. PS: Here’s a post showing how I use the soap cal. And shout out to Denise Silva for directing me to soap cal.net. All my gear and lye is from amazon. Here’s a little shopping list in case you fancy venturing into soap making. Gloves are crucial but omitted because you can find them at any grocery/health store.